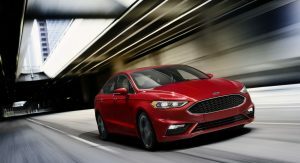 The future of the Ford Fusion is in doubt as The Detroit News has obtained a letter to suppliers which informed them the planned redesigned for the 2020 model has been canceled. 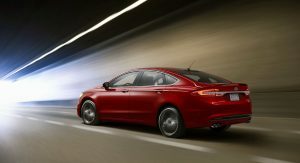 The cancellation comes as a bit of a surprise but an insider told the publication the Fusion and Mondeo will remain part of the company’s lineup for at least three or four more years. This seems to suggest the cars are living on borrowed time but that might not be the case. 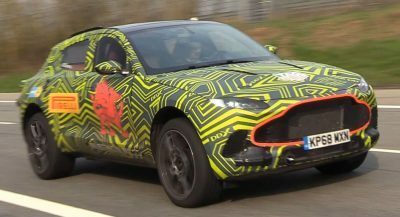 That’s not much to go on but speculation has suggested the Fusion could become larger if it makes it to the third-generation. This could mean the Fusion will enter Taurus territory but reports have indicated the latter model could be dropped by the end of the year. 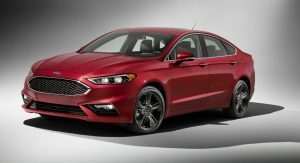 Carsalesbase data shows the Fusion remains a relatively strong seller as the company sold 265,840 units in the United States in 2016. That’s approximately 120,000 units less than the Toyota Camry but it is still a pretty significant number. Ford is staying mum on specifics but CEO Jim Hackett unveiled his strategic update to investors last fall and it called for the company to reallocate $7 billion of capital from cars to trucks and SUVs. This will result in the company will offering fewer cars while adding a handful of new trucks and SUVs such as the Bronco and Ranger. That same presentation also mentioned the next-generation Fusion and revealed it will be offered with less build combinations. 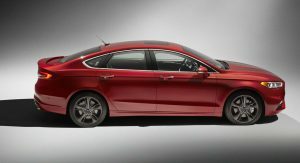 Ford offers approximately 35,000 different combinations on the current model but the company wanted to cut that number to just 96 combinations on the next-generation Fusion. good car, friend had one for many years, since first gen. drove nice, zero problems. another casualty of the suv craze? I feel like the SUV craze is overstated. 2016 Fusion sales are down from the previous two years, but higher than any time in history before that. What happened in 2013 for the sales to be so high? A redesign. It baffles me that they aren’t planning another redesign. Maybe it’s been held off until 2021. That’s still eight years. 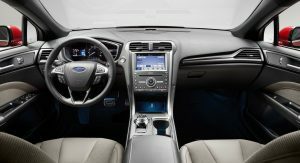 No more Fiesta, Fusion, and Taurus leaves the Mustang and Focus the only cars that Ford offers. Great. It’s a big mistake. Buyers will shift back to cars if gas prices go way up and Toyota/Honda/Nissan and the Koreans will be eating Ford and FCA’s lunch. The Fiesta sedan will not be redesigned but the hatch has been. Koreans and Japanes have lower production costs and can remain in little cars market. Mexican product ban is not good for the big three !! In Europe too little cars production is deplaced in est Europe or Spain. I can’t wait until gas prices go up again and Americans scramble to get rid of their SUVs like they did a few years ago. Yeah but we have a ton of hybrid SUV’s on the way. Not to mention that small SUV’s get pretty decent mpg, so there’s no incentive to get a car anyways even if gas prices go up. I guess. It’s my own prejudice, too. I don’t like sitting really high up, and prefer normal cars. Not sedans, but hatches, like the VW Golf, Mazda3, etc. Small car guy myself. Quite enjoying my Elantra Sport, no need for anything larger. Me too. I prefer medium sized hatchback like Mazda 3 or Honda Civic. A VW Golf Variant (wagon) would be nice too. But the car of my dream is something like Audi A4 All Road. It has relatively small body, normal height, wagon style only adds to its practicality even more, and the best thing is its capability to tackle light off-road tracks. Not true. All those full size and a lot of midsize SUVs still guzzle more gas than cars do and most suvs are NOT hybrids. Yeah but in context to what I was responding to, cars going away will not mean that people won’t have good mpg options. If the price of gas goes up, your choice isn’t between a Ford Explorer and Jeep Grand Cherokee, or a Honda Accord or Ford Fusion, as some people would have you think. There are plenty of small CUV’s like the CRV or Rav 4, that get around the same mpg as a Camry or Fusion. I think you’re reacting to my comment in isolation rather than reacting to my comment in context of what I was originally reacting to in the first place. SUVs are fuel efficient these days and credit cards are plentiful. I think the refreshed Fusion screwed up its design. 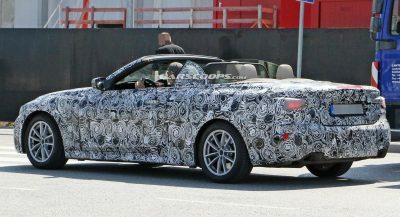 Especially the grille, but also the headlamps, and front bumper. It used to look like a Jag and Aston combined and now it looks less classy. The Fusion sport looks pretty okay though. Even with the SUV craze. I just can’t imagine Ford without a midsize sedan. It’s funny, I feel like only the Germans are going to offer a range of cars which is sad. It’s a repeated pattern, where the US carmakers milk a market, ignore other important ones, and then are caught without product when the market changes. I would have to agree. It just seems like they (American automakers) always go for the fads. I am all for scaling back but not to where you would have to scramble in case the winds change. It’s not just American automakers. When the automotive market crashed, Toyota had more SUVs in the US than any other brand. They bragged about it in their commercials. Honda would have done it too, but they just couldn’t capture the SUV market the way they wanted to. Same for Nissan. The Ford Group will still have its Ford of Europe cars if needed, in case they need to import them to America. GM won’t. I personally don’t think the Fusion is going to go away, and I do believe the next one will grow in size. But yeah, it would be a sad day when only the Germans are going to offer a range of cars. If I was stuck with a German-only range, I would choose a small Audi. (A3 or A4 sedan). Look at the article above this one. Still want to make that move, Ford? $133 more this year. Or $11 more a month. Or $2.75 a week. No one is going to lose sleep over a few bucks. Just leave the Twin-Turbo AWD version. Thanks! It is the “sleeper” (325HP & 380 lb ft torque) that everyone will want down the road. 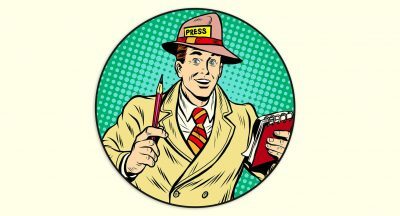 Love the American focus of this article – more than one mention of the Mondeo, aka the car the current Fusion stole from? Ford Europe would be silly to kill off its mid-sizer sedan. I drove a 2014 fusion for like 70k miles without any issue… just a battery change.. never had a more realizable car… I have had Honda’s and Toyota’s ..
Ford and GM should not let the small car and midsize sedan fall too far because with trump in office we will keep seeing fuel prices raise and raise. It will be a repeat of when Bush was in office and gas prices raised. I don’t see how they’re going to walk away from this many sales or this segment. Doesn’t make sense. I don’t get why Ford would do this. The Fusion is the only full size car they sell. 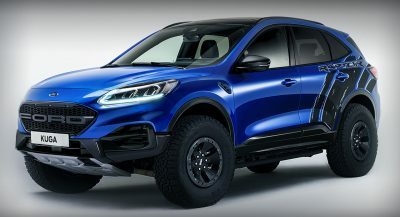 Do they just assume that everyone wants a bloated SUV? Also, what’s up with the Taurus?? It hasn’t been touched since 2010!! Ford seems to be having quite a bit of identity crisis as of late. c) They fail to realize that gas prices will not stay at these levels we’ve been enjoying for some years now. The last time around we saw gas prices spike substantially, we saw the rise of sub-compact cars being offered by many of the import brands, and sedan/car sales shot through the roof, people were trading in their truck-based Explorers, Expeditions, Excursions, and the like. Except for those who really needed such capability (real towing, hauling, etc.) all the rest (soccer moms in suburbia, etc.) began to ditch ’em. And, at that time, the domestics relied heavily on these truck-based SUVs and trucks for income. So, when people started to look at their cars, which were nothing short of competitively embarrassing, consumers were smart and went elsewhere. Domestics played catch-up. Yes, the domestics do well with their SUVs and trucks. But for crying out loud, DO NOT abandon cars. Just when the products really started (with perhaps the exception of FCA) to get competitive with the non-domestic brands, they are chasing profits and sales with their larger product. They will repeat the past if this is the case. The car domestic car industry tends to be like this, living in cycles and short-sightedness. The sedan and car budgets will be cut; product will become mediocre; what’s left will start to die on the vine; customers will realize this, and only so many will be dumb enough to “buy domestic” for the hell of it – most will want their hard-earned dollar to buy something nice and competitive, no matter where it’s from. And, guess who will not be able to supply this kind of product anymore? Then, the domestics will begin to complain that nobody is buying their cars. And guess who’s fault it’s going to be? Bummer. It’s the best looking mainstream sedan on the market right now. Perhaps Mazda 6 excepted, but yes a handsome car. things can still change, but honestly you’ve got to chase the market wherever it goes. if fuel prices spike, folks are going to be going after electrics and Ford is investing heavily in them. crossovers are commanding the highest transaction prices and driving sales numbers higher. with such flexible platforms and manufacturing facilities, how long would it honestly take to switch gears if folks wanted sedans again? frankly, i find sedans really impractical compared to wagons and crossovers are just wagons on stilts. WOW! This is really too bad. I always liked the Fusion although I always felt it had room for improvement. On the other hand if Ford stopped making the Taurus, well… I wouldn’t miss that car at all. Would it not be a good idea to just make one model to replace the two??? 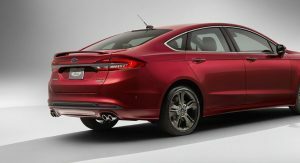 A slightly larger all new Fusion to replace both the current Fusion and the existing Taurus? I guess Fords bean counters think otherwise since suv’s/cuv’s are their bread and butter. Too bad really. I always liked a nice, high feature sedan over an suv but I guess that isn’t what sells these days. Also, I always felt that if Ford did a bit more with the Fusion (better instrument cluster, larger moon roof, the AWD system from the Focus RS, when available a 9 speed auto) it would sell better. But then I guess it would step on the toes of the MKZ and with Lincolns come back, I guess we can’t be having that. Doesn’t mean it’s definitely going away. Could be Ford’s starting over from scratch. Doesn’t sound good, though. Wouldn’t be too surprising to see the CUV kill off another good car. This might be a silly question but will there be a new Mondeo? I would imagine sedans are still popular in Europe and Asia. Ford could still sell a new Mondeo there kind of like how China has the new Taurus. The SUV is king in Europe. Damn, Ford, that’s really nice.